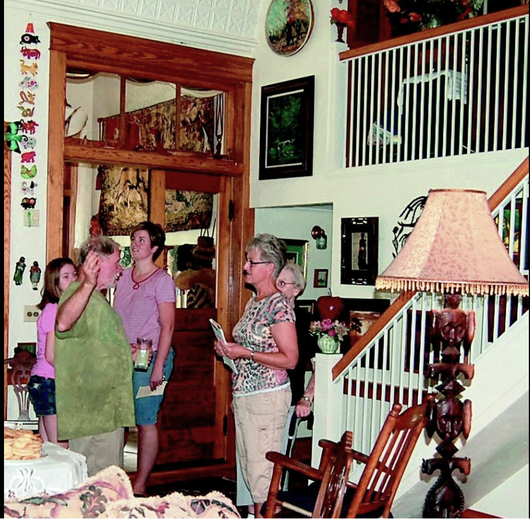 The tour takes place 10 a.m. to 3 p.m. Saturday. All proceeds will benefit the Zeeland Historical Society which provides activities for adults and children, and historical educational field trips for area schools. Tickets are $15 in advance, and $20 the day of the tour and are available at Bunte’s Pharmacy, the Zeeland Chamber of Commerce and Zeeland Hardware. • Dekker-Huis Museum, 37 E. Main St.
• Langeland Home, 510 E. Central Ave.
• Masters Home, 506 E. Central Ave.
• Parkview Home, 214 E. Central Ave.
• Wilson Home, 137 S. Church St.
• Vander Maas Home, 28 E. Central Ave.
• Inman Home, 45 W. Central Ave.
• Van Eck Home, 51 W. Central Ave.
• Hoesch Home, 50 W. Central Ave.